I love Fridays!! Nothing feels better then to start your day off with some heart pumping cardio, samba dancing fun! Last night I decided to throw some ingredients together in some new pop cycle containers I purchased at our local Wal-Mart. After I got home from the gym, I was thrilled to remember I had prepared these last night so they would be ready for today. 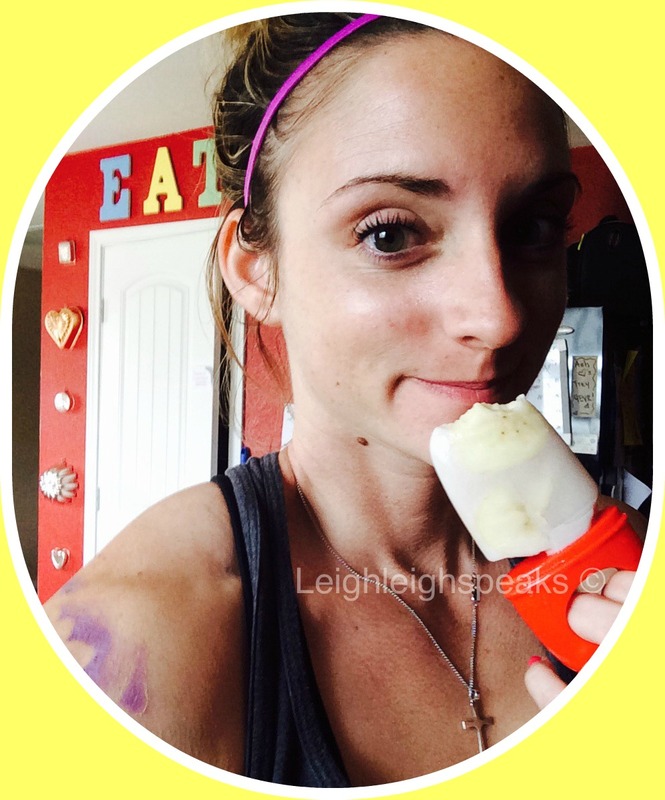 They were the perfect refreshing snack after a hot and sweaty work out! These were so delicious I just had to share them with you guys! 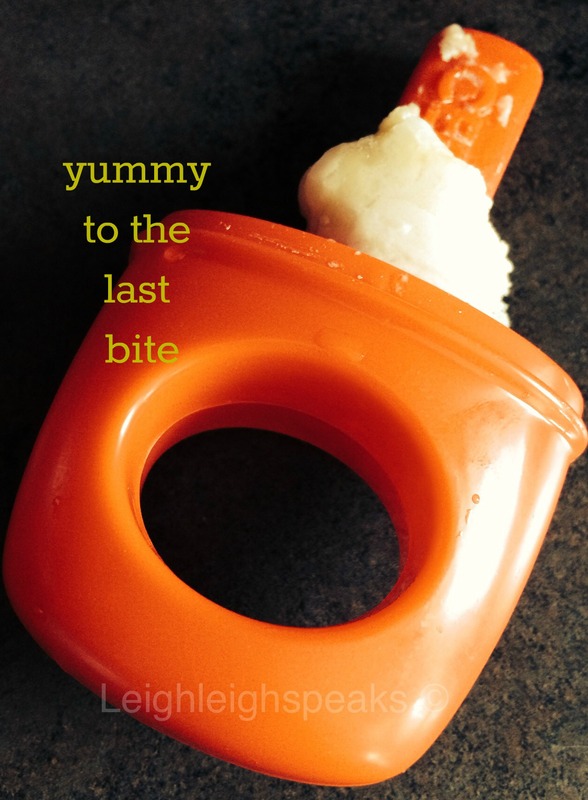 Super EASY and FAST to whip up! Very smooth coconut and banana flavor! 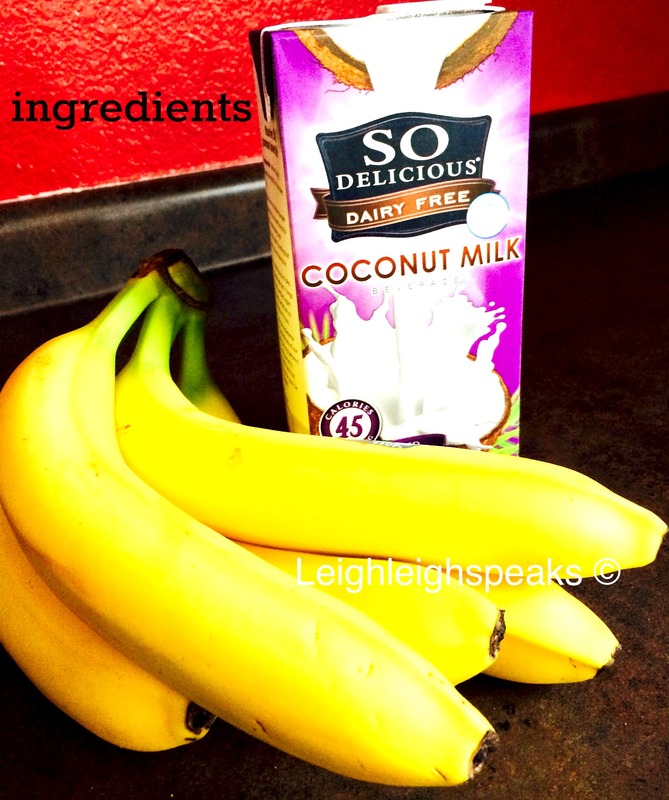 I will try using a few drops of vanilla abstract next time to enhance the sweet flavors of the coconut milk and the banana slices. It was blissful and the kids enjoyed them too! 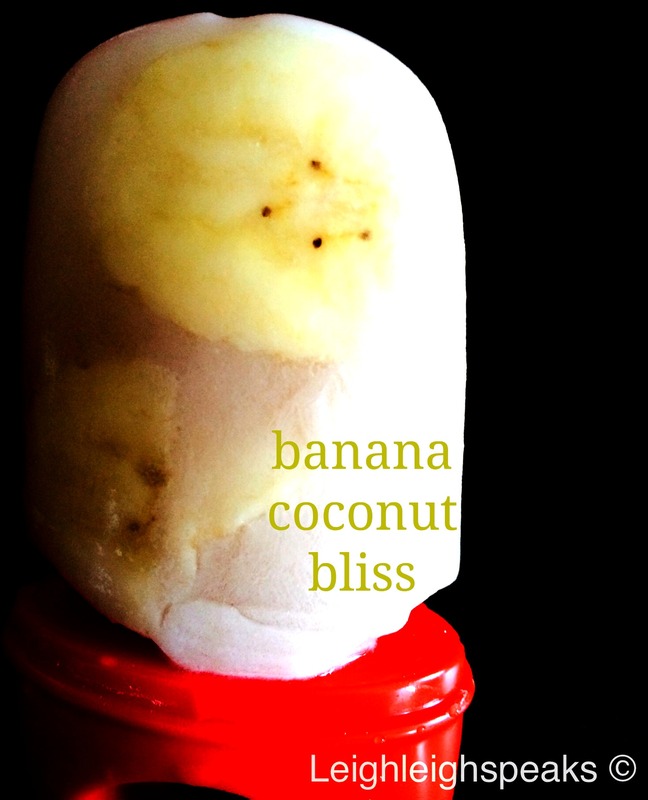 I hope you enjoy my Banana Coconut Bliss Pop recipe! Feel free to share with others! !